Mushroom Duxelle recipe makes a lovely sauce, dipping, filling and garnish! Now what’s a mushroom duxelle? 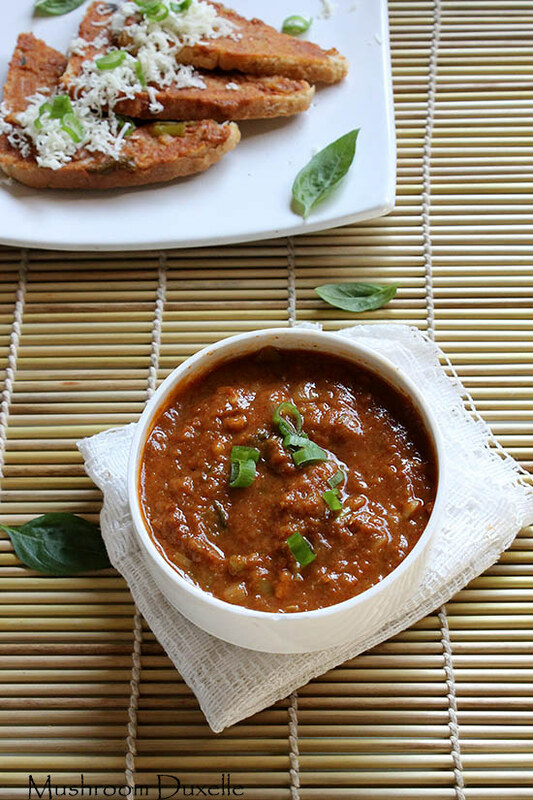 It’s a mix of minced mushrooms, shallots, herbs and butter which is reduced to thick sauce. Duxelles were widely used anciently as spread on bread, pizza, pie and pastry filling. 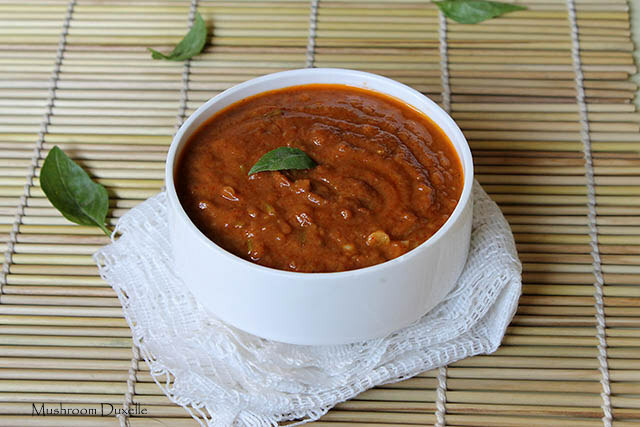 It can be used a side vegetarian dish Or can be clubbed with chicken Or meat. I used my mushroom duxelle as spread on burger with mayo, cheese, lettuce and potato patty. If using duxelles as filling for pastry, puffs Or pies then it has to be thick and dried. Else the mushrooms would come out of the filling and create a disaster. So bear this in mind. Duxelles are generally made with fresh mushrooms. Some also make from dried mushrooms. I have used fresh button mushrooms. Mostly herbs like parsley is added however I have added basil leaves. Also garlic, wine / vinegar, pepper are used. 1. 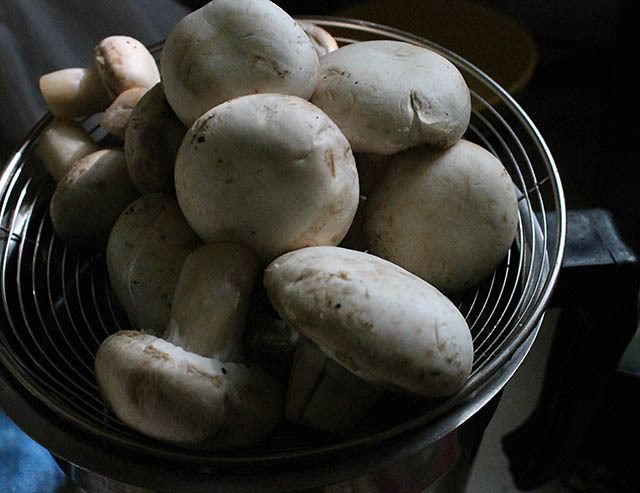 Wash the mushrooms and wipe them with a clean napkin. 2. Chop them finely Or alternatively you could grind them into a coarse paste. Add red chili powder Or flakes while grinding mushrooms. 3. Take a wide bottomed pan add butter with little oil else butter would burn. 4. 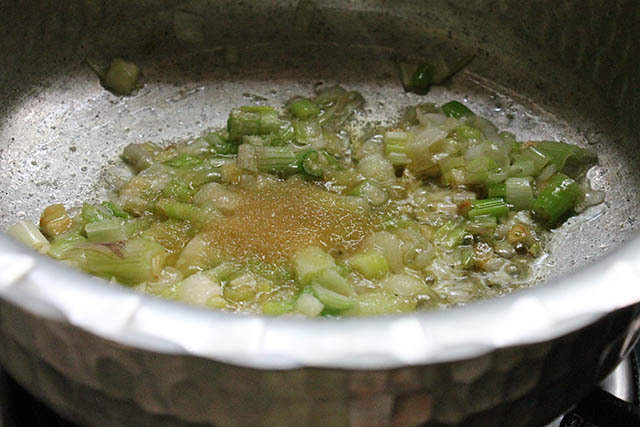 Saute garlic until light brown in color don’t burn it. 5. Add shallots and saute until changes color. Now add sugar. 6. Time to add the grounded mushroom paste Or mince. 7. Put wine, soy sauce if using, salt, parsley Or basil leaves and pepper powder. 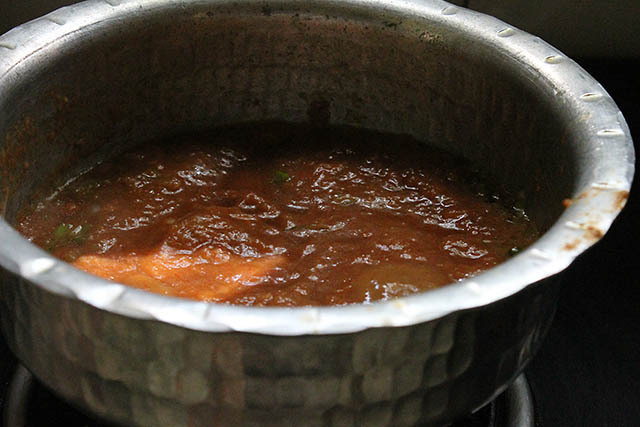 Simmer until the sauce is reduced and thick in consistency. Use them as side dish, sauce, dipping etc. Wash the mushrooms and wipe them with a clean napkin. Chop them finely Or alternatively you could grind them into a coarse paste. 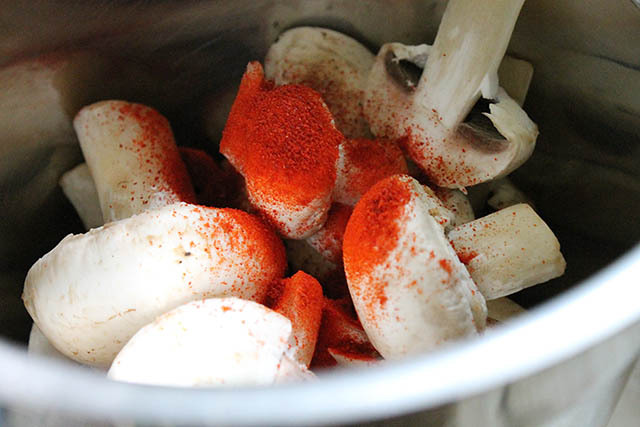 Add red chili powder Or flakes while grinding mushrooms. 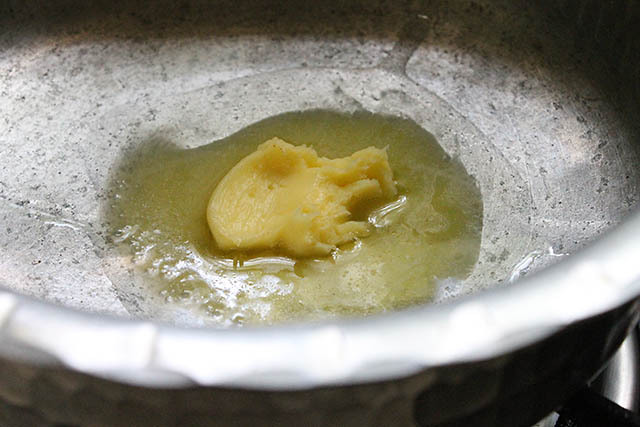 Take a wide bottomed pan add butter with little oil else butter would burn. 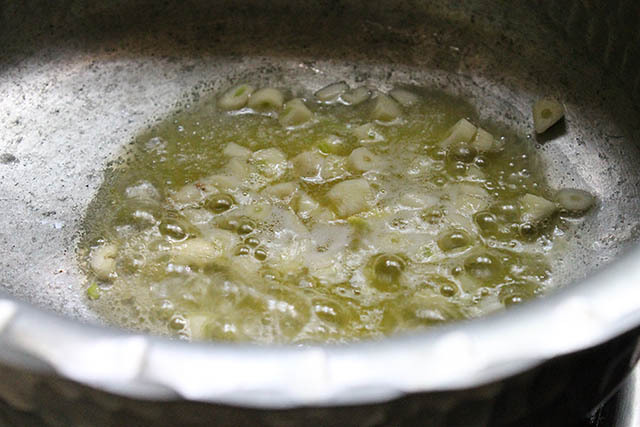 Saute garlic until light brown in color don't burn it. Add shallots and saute until changes color. Now add sugar. Time to add the grounded mushroom paste Or mince. Put wine, soy sauce if using, salt, parsley Or basil leaves and pepper powder. 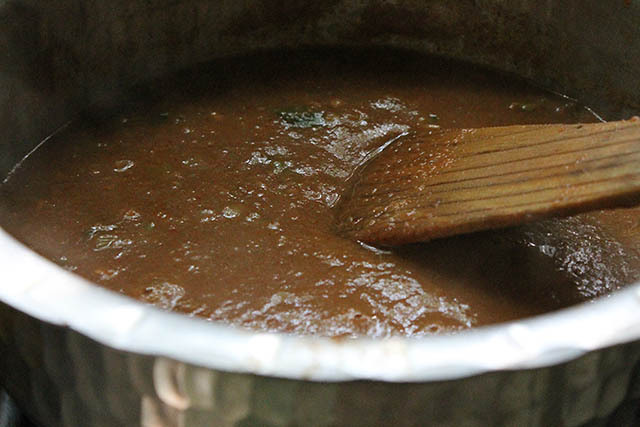 Simmer until the sauce is reduced and thick in consistency. Use them as side dish, sauce, dipping etc. 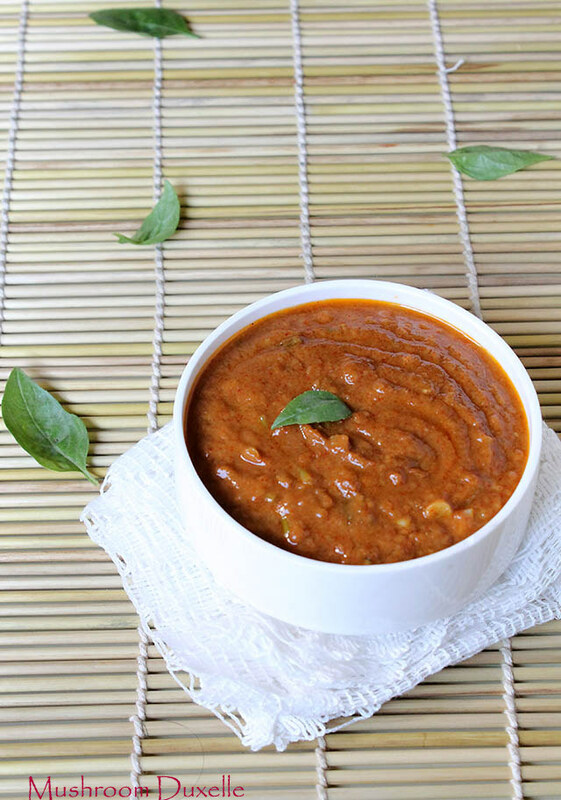 If you want it to use as dipping then don't reduce the sauce too much. If using for fillings then reduce it until thick. Store them into fridge should last for 7 days.